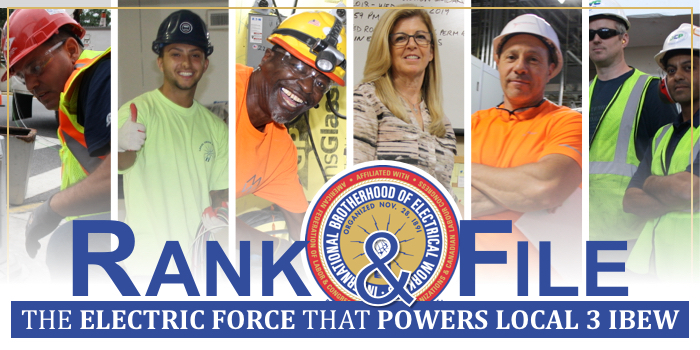 Local 3 IBEW believes that communication is key in building a strong union. A smarter and stronger union is an informed and educated one! So be sure you are getting The Rank & File, the official union email for the hardworking members of Local 3 IBEW. This email is sent directly to the members from Local 3 about meetings, job actions, rallies, public hearings, and events. The Rank & File also informs you about charity and social events, political action and issues important to you. So spread the word and lets all plug-in so we can all stay informed!